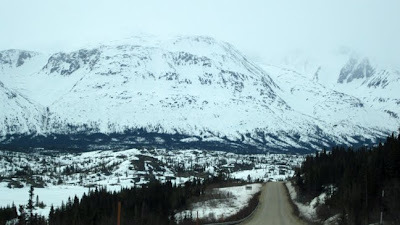 Heather's Paintings and Musings: A daytrip to Alaska...Whitehorse to Skagway! "Nature has neither kernel nor shell; she is everything at once." I have enjoyed a few excursions during my time here in Whitehorse. 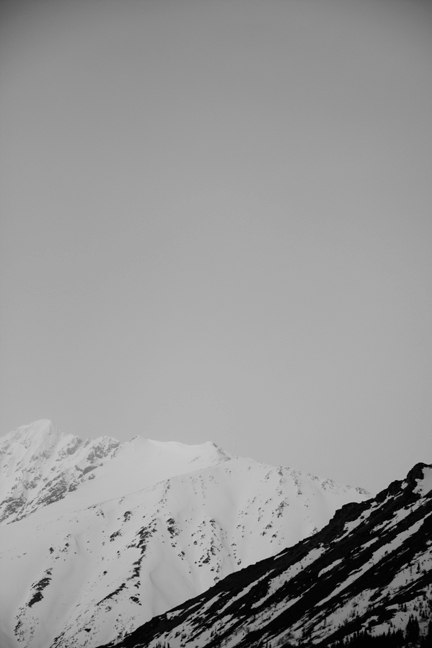 One such morning I decided to drive to Alaska for the day. I knew that the trip to Skagway, AK was about two hours each way, and apparently one of the most beautiful drives in the area (which is saying a lot). 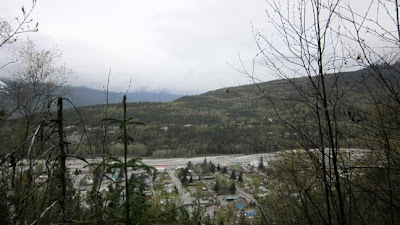 I grabbed my passport and left Whitehorse at 8:30am, intending to stop and take photos along the way, arrive in Skagway before lunch, hike and head back by the end of the afternoon. 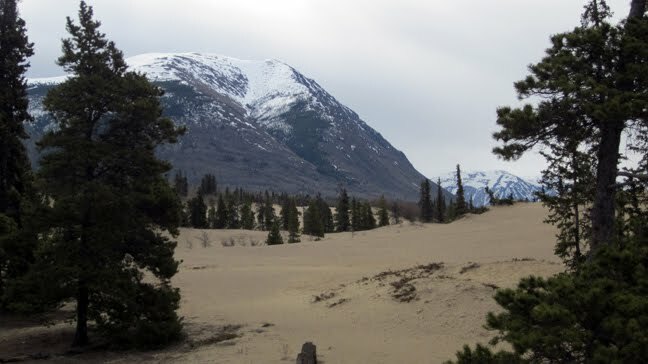 I noticed how arid, or semi-arid Fairbanks was two years ago when I visited there and explored around Denali National Park, visiting Bus 142 on Stampede Trail in the process. I couldn't manage to stay hydrated it seemed. I was constantly drinking water and yet it seemed like a losing battle. Whitehorse is no exception. The air is quite thin, dry and crisp as compared to the soft, temperate climate that you encounter along the coasts. 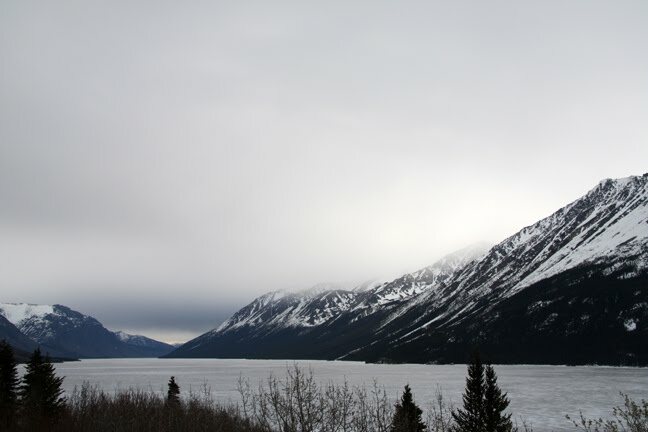 I know it is simple science that makes it so, but the contrast was extremely evident as I drove from Whitehorse to the coastal Alaskan town of Skagway that day. 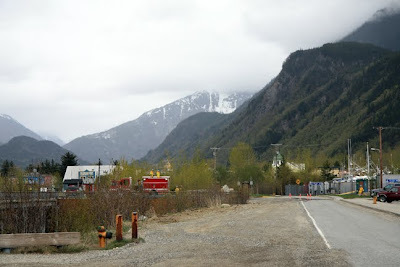 If you wish to see the route I took to Skagway, here is a link. I stopped and took some photos of the world's smallest desert, The Carcross Dunes. Its size is only 1 square mile if you can believe it! It was so bizarre to see sand juxtaposed with snow in such a way...certainly I had never seen anything like it before. It was quite cold and windy, particularly with the gain in elevation, so grabbed my toque and continued on towards Skagway. 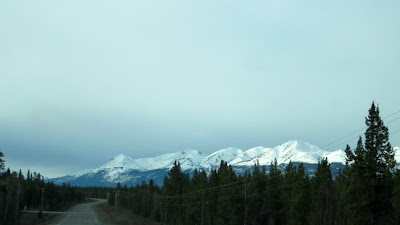 Eventually you take a turn and leave the Alaska Highway, heading southwest on the South Klondike Highway. There was no one on the roads as usual, even on a Saturday. I only passed the occasional car and when I stopped to get out and take the odd photo, I would stand and listen to nothing but the wind and feel a lovely heaviness in that moment, feel the gravity of where I stood and tried to process it all. Eventually I crossed the border into northwestern British Columbia. The highway passes through B.C. and then on to Alaska. But the borders, the latitude and longitude, were irrelevant in the face of so much beauty all around. Such grandeur made labels and statistics seem pale and unimportant by comparison. 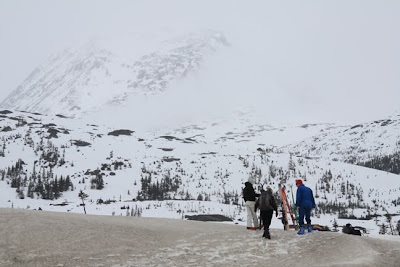 I continued on and as I made my way onwards and upwards, my increased elevation turned the precipitation into snow. It was quite amazing...to leave the sun and brilliance of Whitehorse and to now be an hour away and in a fog of blowing snow..quite surreal. At one point I stopped to shoot some photos of the blowing snow near the top of what seemed like a pass and, to my surprise, a family in a truck next to me took out skis and began cross country skiing...on May 1st no less! I passed through U.S. customs without any issue. The border guard, all decked out in uniform, was pleasant and bid me on my way. 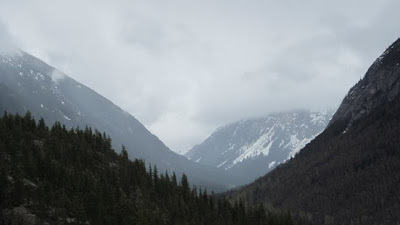 Slowly but surely the snow began to dissipate as I neared the coast...the trees awoke as the snow receded, and by the time I rolled into Skagway there was greenery and lush vegetation everywhere. Skagway is a popular destination for cruise ships and people beginning to hike the historic 53km Chilkoot Trail. 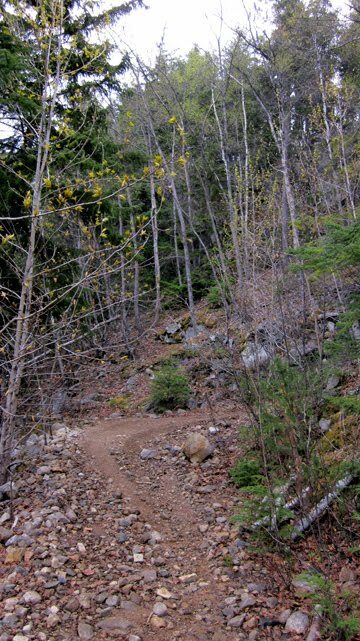 The Chilkoot trail is rich in history as it was one of the main routes that intrepid men and women hiked during the Klondike Gold Rush. I would like to hike this trail within the next five years if possible. It sounds like an amazing adventure. There are still old stoves and other possessions that were to cumbersome to carry, now long abandoned and left by the side of the trail. Skagway is home to about 500 people, yet the town was quiet in the drizzle of rain that was falling. I wandered about but most of the tourist shops and even the visitor centre were all closed. It appears that tourist season doesn't start in earnest until Mid-May up here. 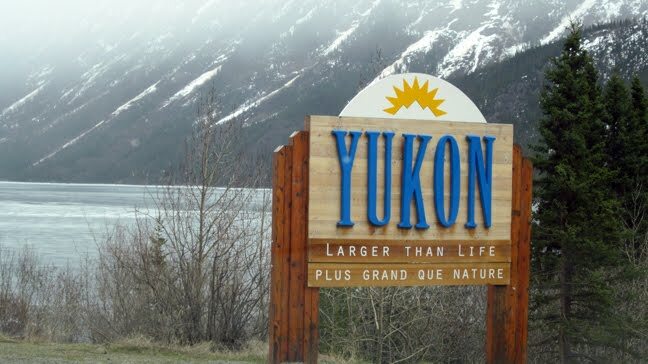 That was fine, as I didn't want to fall in step with the throngs that would inevitably descend here and in other popular spots in Alaska and the Yukon. I prefer to visit and explore places in off-season, when residents are more relaxed and life beats at more of its regular rhythm. Stopping in at the ferry terminal to track down a map of local trails, a friendly ticket issuer passed me a map and told me where the trailhead was. As I turned to leave he said rather nonchalantly "make sure you watch out for bears". 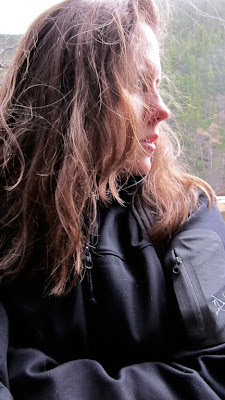 I was slightly unnerved as I was on my own yet appreciated his advice and made my way to the beginning of the trail system. I was going to attempt a longer trail with a higher elevation gain and more challenge, but after encountering a fair bit of snow on the first leg of the trail I opted for a lower route. I had never hiked on my own in earnest before, and certainly not in Alaska. Nevertheless I made lots of noise, stayed alert and enjoyed the solitude as I ambled up the steep slopes that levelled off and followed my chosen route. My path wound up sharply for the first while. After awhile I came to the lake I had been seeking and stopped to listen and observe everything around me. I was pleased that the trail was fairly well marked, yet it was still easy to take a wrong turn up there. Everywhere I could feel the earth waking up and enjoying the rain. I put my jacket back on as it was quite cool out. I loved the feel of of rain and didn't use my hood once. I can see why many women in northern climes don't wear much if any make-up. Who would want to up here when everything else is so natural and unaffected? 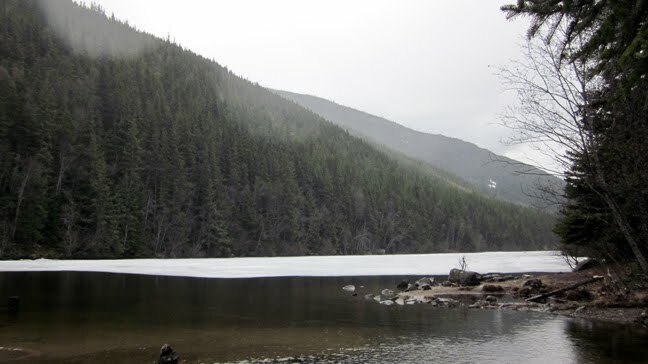 The lake was quiet, so still, with a thin layer of ice receding near its far shores. I eventually found my way back down to the beginning of the trail and headed back to Whitehorse. I left the temperate rainy forests for the ice and snow of the pass, then back down to Whitehorse, a fabulous day of amazing sights seen, adventures had and peace felt. I will never forget it. I kept telling him stop the truck, I need to get out and see this. These signs are quite common in the Rocky Mountains of British Columbia, Alberta (and evidently, the Yukon). Large trucks have to apply their breaks so consistently as they drive in the mountains, that it is common for those brakes to overheat and fail. The truck escape ramp is basically a ramp, usually paved with gravel, that is cut into the mountain side just off the road. 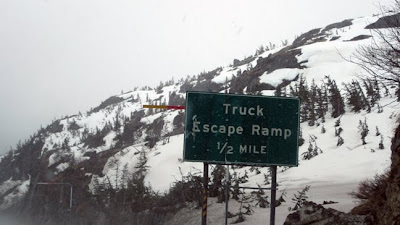 It provides an incline for the truck to drive onto if their brakes fail as they are coming down the mountain. The incline is steep enough to slow the truck to a stop. JB: Yes, clearly your Northern appetite has been whetted. I hope you return to the North as soon as possible as it certainly stays in your blood once you have been here and beckons you back! Musa: Many thanks for the information! Yikes that's a little frightening about the trucks' brakes failing but thank goodness they have a solution for them in case they do encounter this! Again, thanks for the information! I appreciate it! this will be one of the things I will miss the most. besides family and freinds. It really does get in your blood. I felt sick at the airport, that day knowing what I was leaving.